Fruit always tastes best when picked fresh from the tree and a good tree will be productive for a long time. 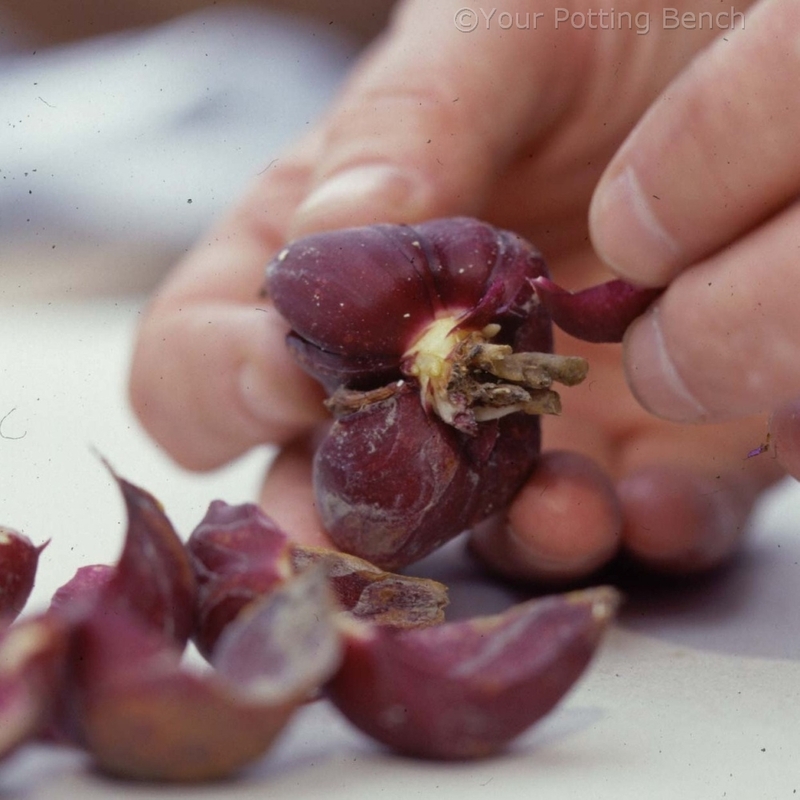 To get the best results, choose one that is an appropriate size for your garden and plant it well to give it a really good start. 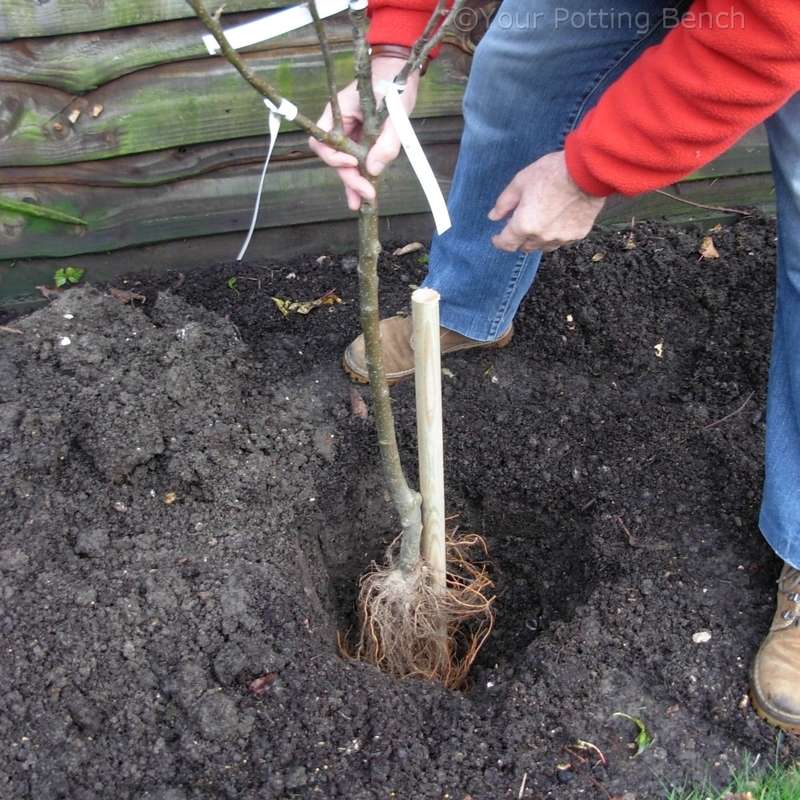 Fruit trees are grafted plants: the desired variety is joined to a rootstock that will control the size. 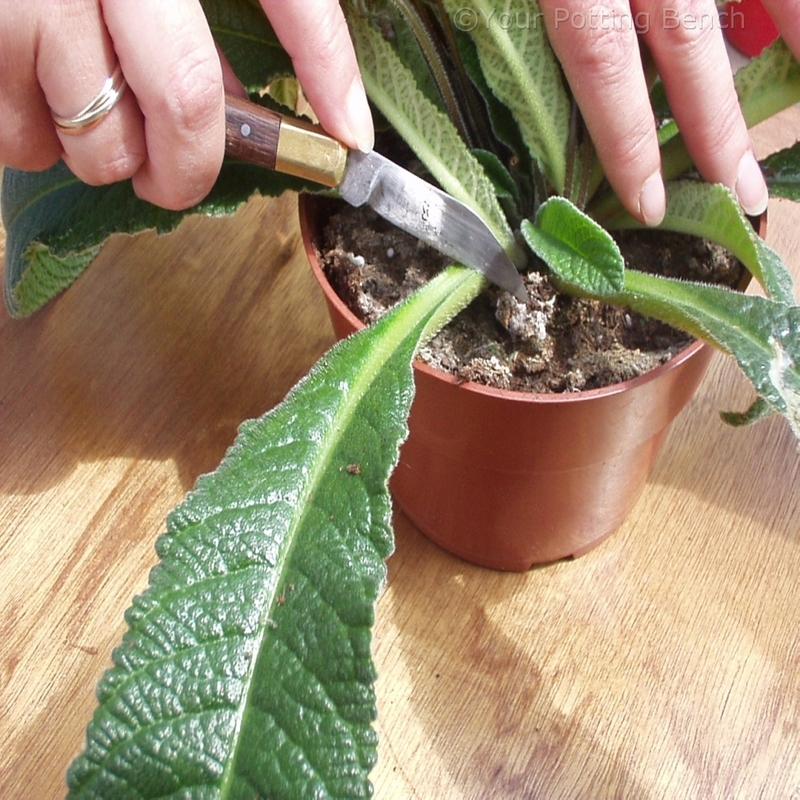 If you look closely, you will be able to see the graft union (where the plants were joined) on the stem. It is important that you do not bury this union or you may get unwanted shoots from the rootstock (suckers). 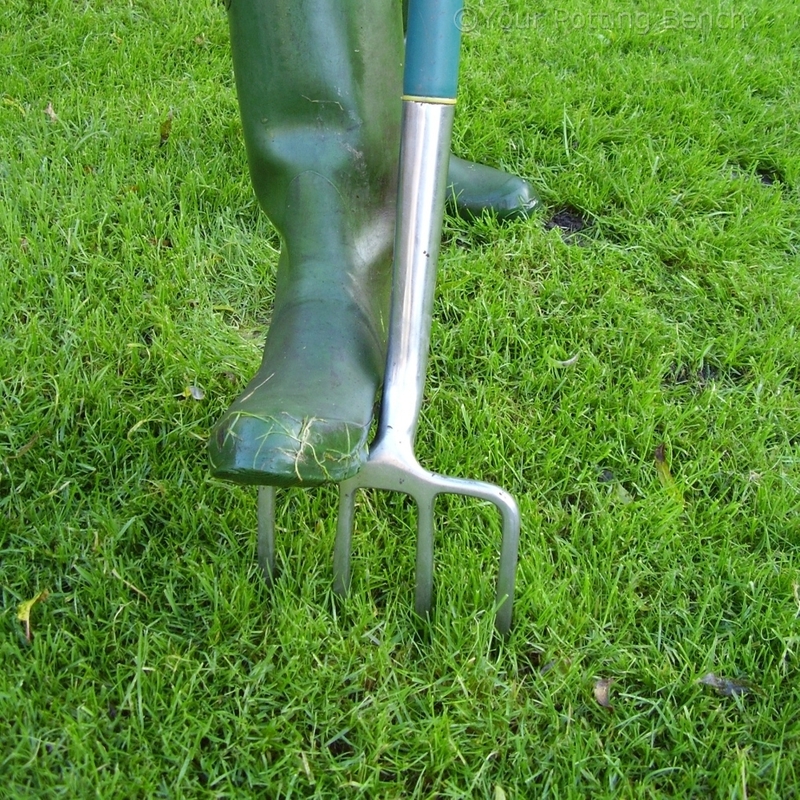 A short cane laid across the soil surface will show if the hole is deep enough. 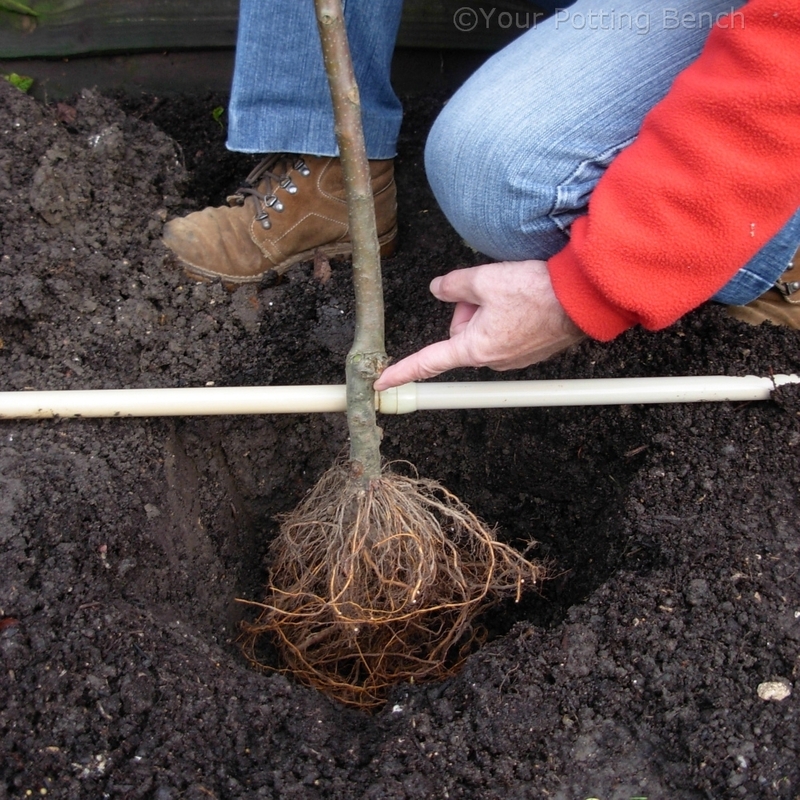 Once the hole is ready, drive a short wooden stake into the base next to the tree. Position the tree close to the stake. 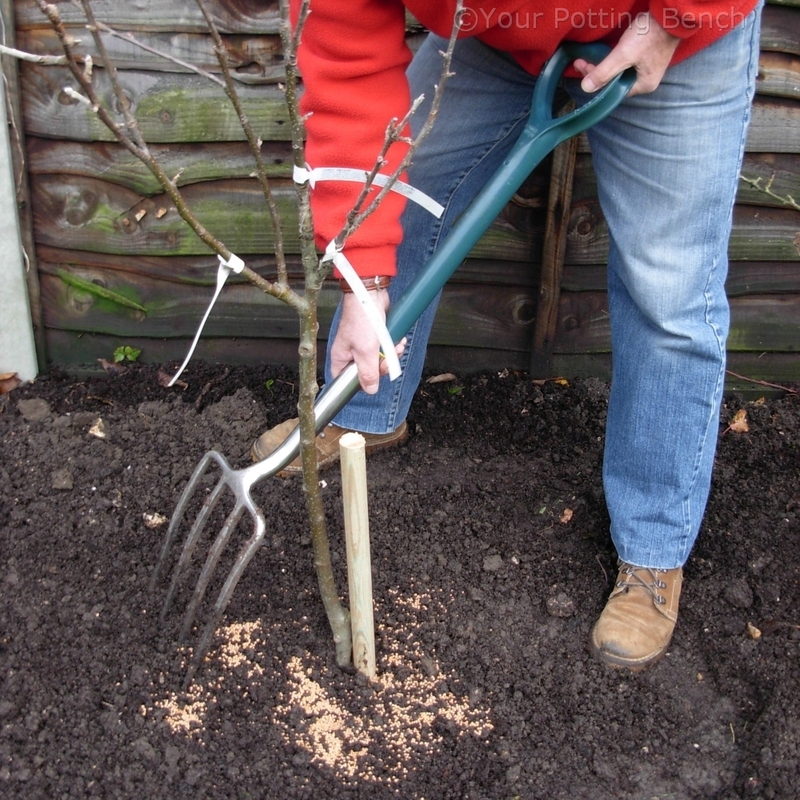 Refill the hole with soil and firm it with your heel around the base of the tree. 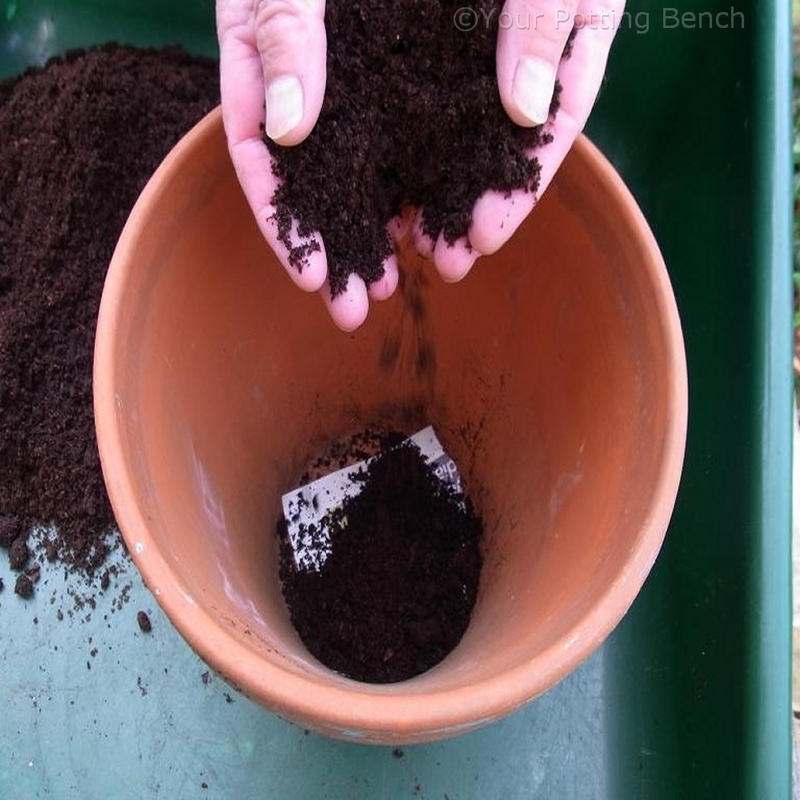 Add a dressing of fertiliser and fork it lightly into the soil surface. Water well to settle the soil and wash the food down towards the root zone. 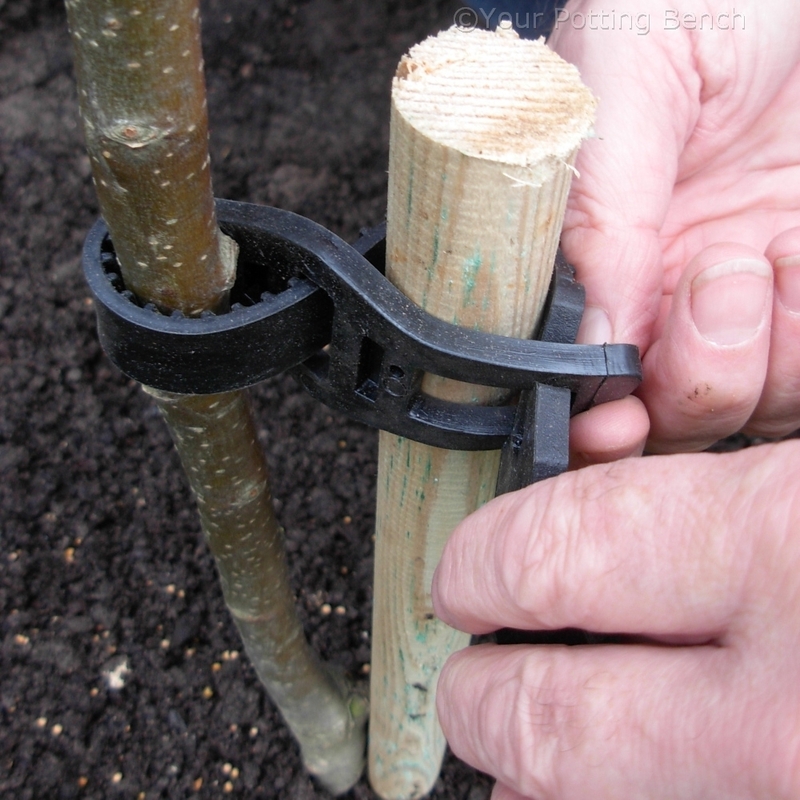 Support the tree with the stake using a rubber tree-tie, making sure you have the loop round the tree and the fastening against the stake. This will need checking and loosening as the tree grows.